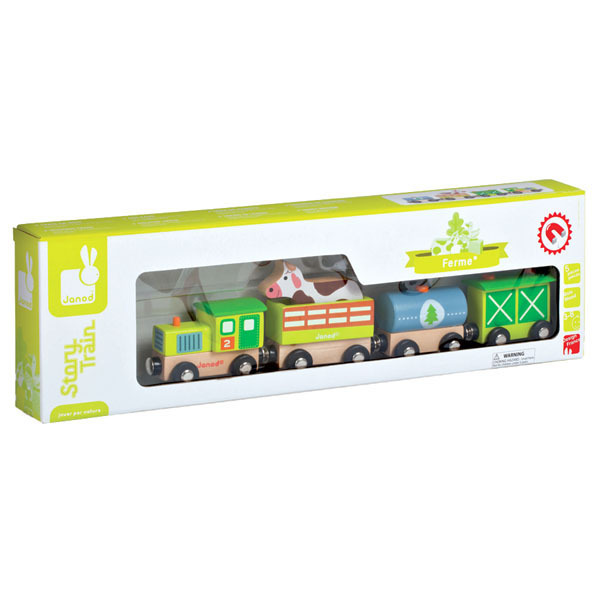 The Janod Farm Wooden Train will inspire kids imagination and play time. 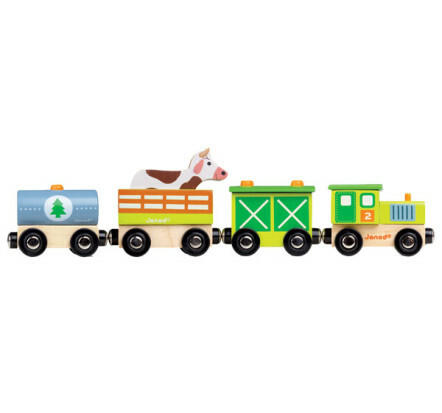 Decorated with vibrant, non-toxic paint, this wooden train has moving wheels and magnets that attach each carriage to the other. 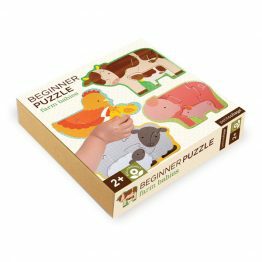 You can move each one separately or put all 3 together to move them all at once. 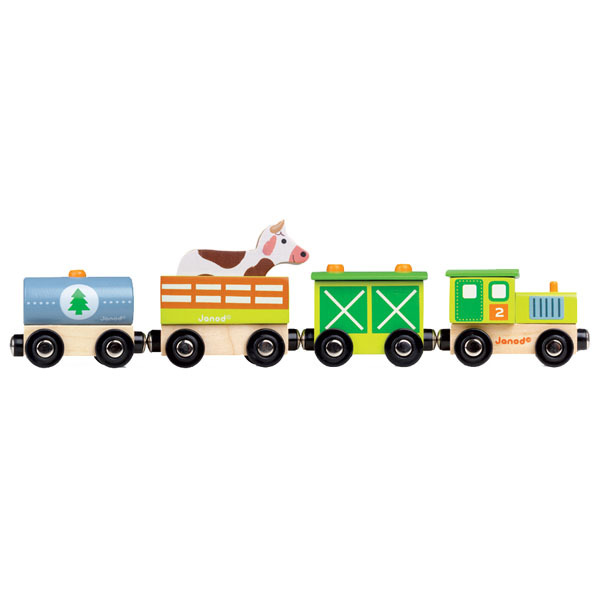 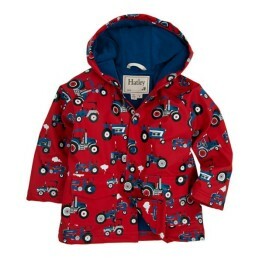 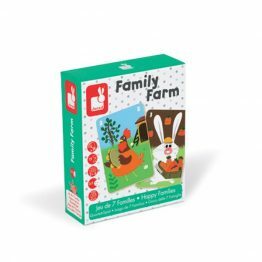 The set includes a feed cart, a cow with his enclosure carriage, a tanker cart and of course the engine to pull them all around the farm or off to market!